How does one live in the world authentically? I tell people I’m an Oregonian, but in truth I was born in California. But I don’t remember any of that because we moved when I was a toddler to Ohio. At age 7, my family moved again to Connecticut and again at age 9 back to California and once more again to Oregon at age 12 in 2003. I’ve lived in Oregon since that time and because my ancestors are from Oregon having immigrated here from Japan in 1915, I usually say that I am from Oregon. But there were still times when I felt inauthentic. 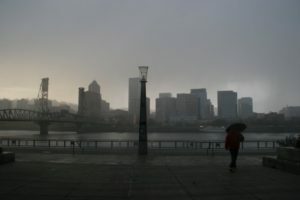 At Portland State University, I developed the habit of carrying an umbrella with me. My friends would tease, “Only Californians carry umbrellas.” So then, what does it mean to live authentically as an Oregonian? Or as a Japanese American? Or as an American? I’ve since come to take pride in my uniqueness as an umbrella-wielding youngster in Portland and with that pride I’ve discovered something else about identity. Living in the world authentically is not about foregoing umbrellas or passing litmus tests; living in the world authentically is about owning your identity by taking pride in exactly who you are. I struggled to take pride in my ethnicity as a Japanese American as a young boy. Growing up in mostly white communities, my peers often asked me, “Why is your English so good?” and “Can you say something in Chinese?” I was much too young to come up with witty comebacks to their ignorant remarks and often felt unable to say anything at all. On the one hand, I wanted to fit in and be seen as an authentic American, just like everyone else. On the other hand, I wanted to please my interlocutor but never felt Chinese enough to say something cogent about China or even Asia for that matter. Of course, I’m not Chinese, but to a fellow seven-year-old I’m just a foreigner despite being a fourth generation American whose ancestors immigrated to the United States in 1915. Unable to blend in as an “authentic” American or as an “authentic” Asian person, I felt utterly detached from my peers because I didn’t possess the confidence or the vocabulary to defend my identity. Cultivating a vocabulary necessary to take pride in one’s identity is at times difficult. At first it can feel like you’re a faker. But just like us umbrella-wielding Oregonians prove that there is no one right way to be an Oregonian, there is likewise no one right way to be American or Japanese American. I can tell you that the single most effective way to develop one’s vocabulary around Japanese American identity is through studying one’s cultural heritage. This doesn’t necessarily have to take the form of studying the Japanese language, but for me it did. Along my language learning journey, I’ve discovered many different ways of doing being Japanese American. I studied my family’s incarceration experience at Minidoka and pieced together my great-grandfather’s story as one of the first Japanese American dentists in Portland. The sacrifices of my ancestors serve as a powerful source of affirmation and hence of vocabulary for articulating my identity. Regardless of whether your family immigrated to the United States recently or a century ago like mine, studying one’s heritage and history cultivates a vocabulary. With this vocabulary, one might state confidently, “My family was forced to speak only English and not Japanese because to speak Japanese would make you the target of hatred,” or “No one in my family speaks Japanese anymore, but I’m learning my heritage language to connect with a piece of my culture that has been lost due to oppression.” With vocabulary comes pride. The ability to state confidently, “I am a fourth generation Japanese American,” fundamentally changed the way I walk in this world. I no longer feel detached from my peers. I feel grounded by roots that stretch back to Japan and speak to enormous courage and sacrifice to get me to where I am today. And with my vocabulary I feel empowered to educate my peers so that they might make fewer assumptions about people like me in the future. I started this essay with a question: How does one live in this world authentically? The answer is surprisingly simple. To live in the world authentically means to take ownership of our identities. Rather than cower to the notion that all Oregonians tough out the rain without an umbrella, I decided that I would take pride in my family’s roots in Oregon notwithstanding my umbrella collection. And likewise, though my knowledge about my ancestry is not perfect or complete, I know enough to understand the struggles they went through. I feel grounded enough to push back against the assumption that Asians are automatically foreigners because of their face. With my voice and vocabulary, I am empowered to speak to exactly who I am. And I will always be proud of who I am. Bio: Weston Koyama, a fourth generation Oregonian and Japanese American, seeks to articulate the nuances of the human experience through the written word. Weston’s writing touches on his experiences living and studying in Oregon as he explores the many different ways of being Asian American in contemporary society. His current project involves articulating how the trauma caused by Japanese American incarceration during World War II continues to affect present generations. Weston hopes to someday publish his work for a larger audience. Currently, Weston studies at the University of Oregon School of Law where he is a J.D. candidate in the class of 2019. Weston is the first Minoru Yasui Fellow at the University of Oregon in addition to serving as a Wayne Morse Fellow. 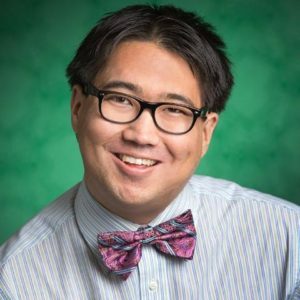 He also currently serves as co-president of the Asian Pacific American Law Student Association at the University of Oregon. His other interests include disability activism, piano, and computer technology.